The James Carratt Project is a compilation of over 50 unsigned & signed session players on a record produced by James Carratt. The album due for release in Oct 2017 features Grammy nominated producer and steel guitar player Cowboy Eddie Long & more! 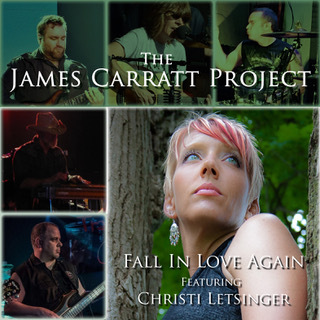 The James Carratt Project is a compulation of 50 unsigned and signed session players performing songs written and produced by James Carratt. The album scheduled for release in October 2017 features Grammy nominated producer and steel guitarist, "Cowboy" Eddie Long, session player and Nashville's Chuck Ward currently on tour with Country Legend Craig Morgan. Also featured on the album, Matthew Lee, guitarist for Shooter Jennings.